The chevron continues to be a motif that I'm not quite finished exploring. 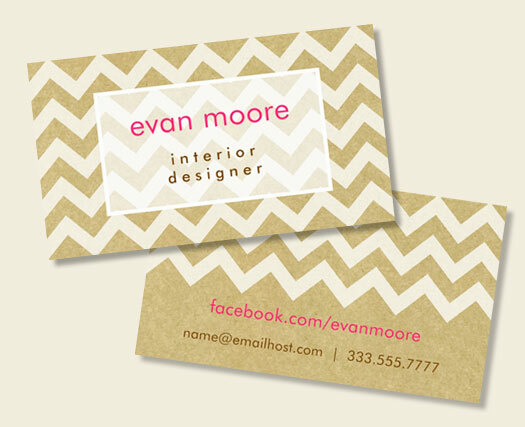 This new chevron calling card template has more relaxed feel with the kraft paper image and the appearance of translucent white ink. The design can lend itself to many business, or make a perfect, personal card to give out to new acquaintances. I like cards that have nothing to do with business per se.